Car problems are stressful and can be expensive and time-consuming. One nerve-wracking thought that many car owners have when there’s car trouble is — am I wasting money by fixing this? Here are some basic guidelines you should consider when a car starts having problems. 1. Does the annual cost of maintenance exceed the savings from today’s technological advancements? Advancements in technology, especially those which affect fuel efficiency, could save you a good chunk of money each year — especially if you have a larger vehicle. For instance, the 2006 Chevy Tahoe compared to the 2016 Chevy Tahoe will cost an average of about $400 more in gas per year. Furthermore, some manufacturers include scheduled maintenance with new vehicle purchases or leases, which could save you money throughout the year. If you have an older car, it is always a good idea to do some research on the typical wear and tear items to learn about the common problems your make and model is likely to incur as it ages. Various makes and models differ in the way the vehicle ages. 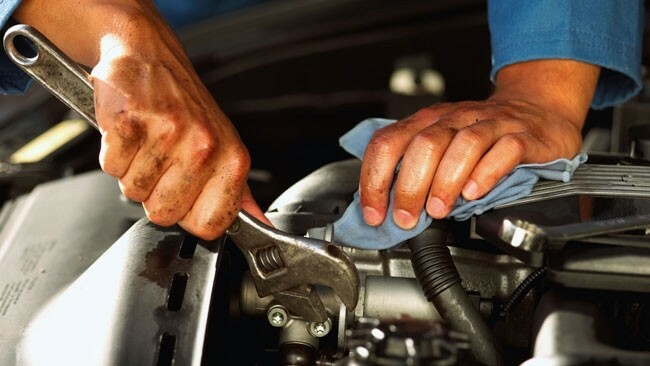 Some cars are likely to need more costly repairs while others will just need minor repairs and scheduled maintenance. 3. Look at the warranty. If you have an older car that is no longer under warranty, the original manufacturer’s warranty is still a good indicator of when your car may begin needing repairs or replacements. Warranties are largely based on the manufacturer’s confidence in their product and the expense of providing that warranty, so the length or mileage on the original warranty is a good indicator when costly repairs should be expected. You should also take into consideration the value of your time. A new car should break less, so if you’re having issues with your vehicle, consider that a few days a year in the shop could cost you more than just the repair bill. 4. Do your homework on an extended service contract. Many extended service contracts can be purchased even if you’ve owned your vehicle for several years. Each provider is different, but if you can purchase an extended service contract, you can defray the cost of very expensive repairs. Many of these extended service contracts can be financed at no additional cost so you can have a consistent monthly expense. A manufacturer’s service contract should always be looked at first since the communication between the manufacturer and dealer is better than with third party providers. If you have a car you love and and the yearly maintenance on it isn’t putting a huge dent in your finances, driving it until it’s last mile may be the right thing for you. But be real about that first costly repair. If you’ve loved your car for a long time, that repair may cost more than the car is worth. Still need more help? Bring your car into Driver’s Auto Mart in Davie, Florida and we’ll help you decide if you should trade-in your car for one of our great used-cars or if it is worth repairing.